The Winter 2011 issue of The IDEAL Magazine Has JUST Released. Take a LOOK! (Washington, DC) - Ideal PR Media announces the release of the fresh-look and new winter issue of The IDEAL Magazine available NOW. The Winter 2011-2012 issue features a 22-page “Now and Then” tribute to the popular HBO series, The Wire. “This spread means that I have arrived and I’m here to stay forever,” said Tray Chaney (Poot from the series). “The Wire is still known as one of the best shows in history and to be united with my cast members (once again) was an honor.” Other cast members featured in the article include J.D. Williams (Bodie), Hassan Johnson (Wee-Bey), Tristan Wilds (Michael Lee), and others. Still trying to find gifts for the holiday season? Don’t worry. We found 10 IDEAL gift ideas your friends and family would love; especially if they remind you of celebrities such as 50 Cent, Kim Kardashian, and Keri Hilson. What do Brad Pitt and Justin Bieber have in common? We will show you in our “Drink Like a Celebrity” article. Also in this issue, D. Woods (formerly of Danity Kane) gives us an update on her passion for the stage and Hollywood’s young actress, Paige Hurd (Everybody Hates Chris) shows us another side of her style in a special editorial spread. 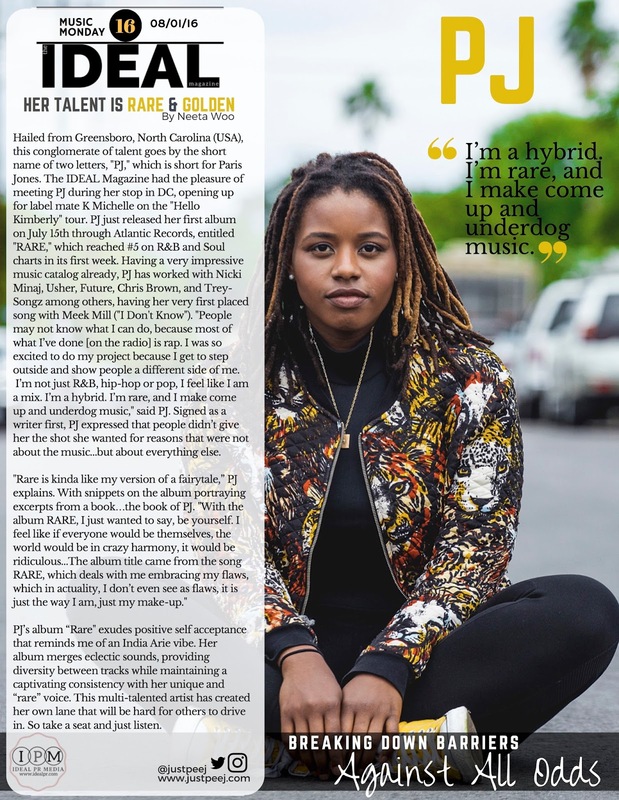 We highlight up and coming rapper/songwriter H.Wood City as well as actress/writer Tiffany Black in our “Pay Attention” section of the magazine. The IDEAL Magazine is a digital entertainment lifestyles magazine published quarterly. 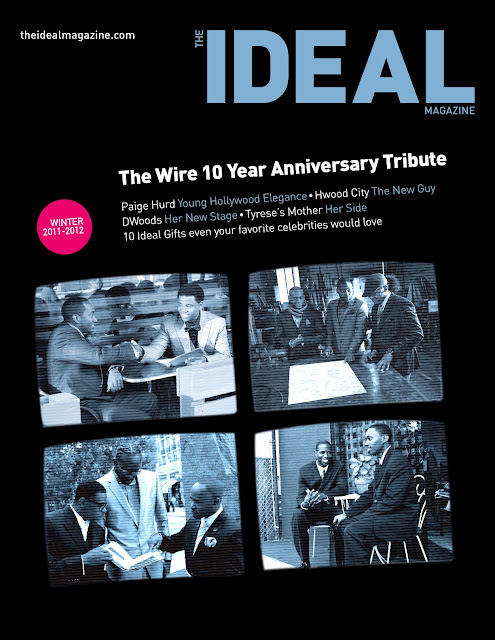 The IDEAL magazine highlights stories and interests of urban young adults ages 13-30 years old. With a focus on everything pop-culture, The IDEAL Magazine blends celebrity content with current trends in music, TV, film, fashion, sports, and education relative to its target audience. Based out of Washington, DC, The IDEAL Magazine has writers and photographers around the United States of America to provide a wide range of story and demographic coverage. The IDEAL Magazine is distributed online though Ideal PR Media with Neeta Wooten as Editor-in-Chief.